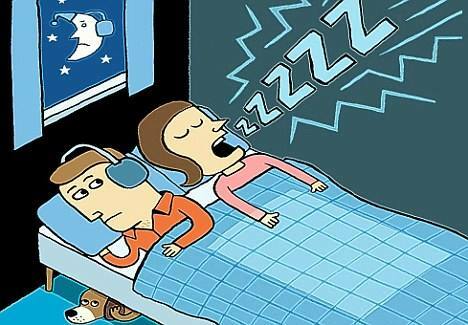 CHRONIC LOUD SNORING - DRAMATIC CHANGES! For over 20 years my friend has been a VERY LOUD snorer. Building up to a solid 8 out of 10 on the Richter Scale! She has tried MANY approaches, including overnight assessment by the Snoring Specialists. She also suffers with Pelvic Floor issues - involuntary urinary leakage. This is INCREDIBLY common with my female clients, around 90% mention this on their intake form. For some it’s the main complaint they would like my help with. She also wears a dental night guard. It’s a bit like a balloon (Pressure System) the bottom of which is your Pelvic Floor (no pun intended) you should be able to efficiently close the valve to maintain pressure & function. If there is a leak in the system, it may effect your Pelvic Floor, Breathing and Core Function, so you may literally end up with a LEAK IN THE SYSTEM. Her balance, stability and muscle function throughout the body was completely disorganised. I assessed her using Voila Method protocols and corrected her Palate, Teeth, Clavicle, Talus bone in the foot and the Distal Metatarsal of her 2nd toe. That night the snoring was largely absent, with a max peak of 2 out of 10. It can take a while for the body to assimilate corrections, so things may improve further. I am waiting feedback on the Pelvic Floor front, but the chances of positive change are much better when the Pressure Systems are functioning. My advice - think twice before inflicting braces, retainers or night guards on yourself or your children as there may be a price to pay! If you suffer with any of the above, I may be able to help.